The ColPac Blue Vinyl Quarter Size provides up to 30 minutes of therapeutic cooling that covers a small area for targeted relief and comfort. Injuries like bursitis, arthritis, tendonitis, or sprains and strains require professional grade ice packs to manage properly. 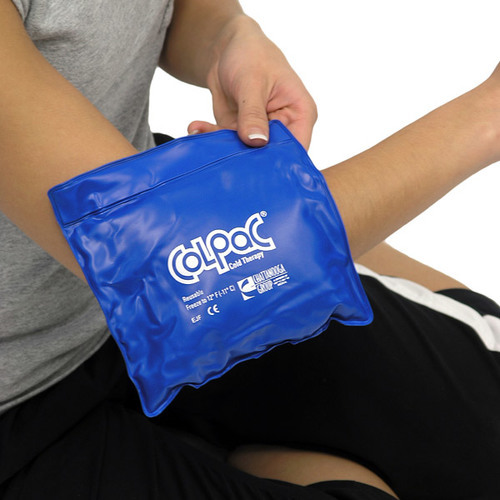 With the Chattanooga ColPac Blue Vinyl cold pack, you can be sure to have the best ice pack available to provides instant pain relief for fever, bruises, sprain, strains, and helps to manage swelling. Quarter size of 5.5 x 7.5 inches for compact coverage of joint or soft tissue injuries. Non-toxic clay within the pack remains flexible when frozen for maximal comfort during treatment. Easy to use- simply freeze flat and apply. 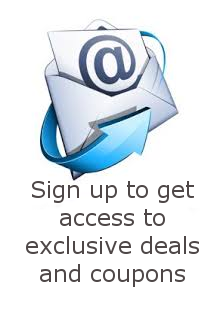 Durable, latex free blue vinyl is designed for professional use. Spend anytime in a physical therapists or sports trainers and you'll likely see them reaching for the Chattanooga ColPac when their patients require ice. That's because Chattanooga has been making professional grade cold packs for years, and rehab specialists trust the durability and therapeutic cooling properties of Chattanooga products.